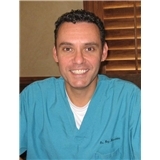 Dr. Roy Moscattini - DDS (Duluth) - Book Appointment Online! We are a general family dental practice serving all ages. We believe in treating our patients like we would want to be treated. Your comfort and satisfaction are of upmost importance. We offer the latest in dental technology and have a knowledgeable, experienced, and friendly staff able to address your clinical and financial concerns. Dr. Moscattini is trained in the latest procedures of general dentistry including root canals, surgical extractions, and Invisalign. Contact us today to schedule your appointment!